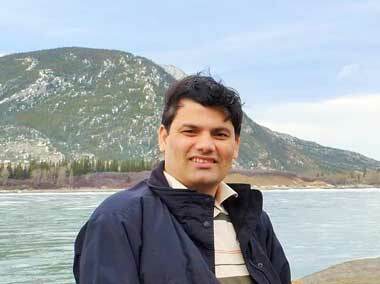 Dr. Tejendra Chapagain is a Research Associate at the Department of Plant Agriculture at the University of Guelph, Canada, and the Canadian Project Coordinator for SAKNepal. Dr. Chapagain originates from Nepal, and subsequently received a PhD in International Agriculture from the University of Tokyo, and a second PhD in Plant Science from the University of British Columbia (UBC). He is an agronomist by training and brings a wealth of technical expertise in his discipline as well as experience working with subsistence farmers. Dr. Chapagain has led agricultural research and development projects in Canada, Japan and Nepal aimed at designing innovative practices in field crop agronomy and soil productivity with emphasis on developing adaptive measures to climatic extremes. His research interests include development of new knowledge leading to science-based solutions that: 1) optimize nitrogen requirements of major field crops grown in Canada and developing nations, using the 4R principles; 2) help design low cost and sustainable agro-ecosystems that reduce the use of synthetic fertilizers in crop production, replacing them with more natural, biological resources; and 3) provide tools and practices that sustain ecosystem services, input efficiency and environmental quality, while adapting to climatic extremes, with a focus on North America, South Asia and Sub-Saharan Africa. General areas of his interests include cropping system research focusing on carbon sequestration, intercrop interactions, nitrogen use efficiency, land and water productivity, root physiology, biotic and abiotic stressor resistance and edaphic selection. Chapagain, T and A. Good, 2015. Yield and Production Gaps in Rainfed Wheat, Barley, and Canola in Alberta. Frontiers in Plant Science 6: 990. Chapagain, T and A. Riseman, 2015. Nitrogen and Carbon Transformations, Water Use Efficiency and Ecosystem Productivity in Monocultures and Wheat-Bean Intercropping Systems. Nutrient Cycling in Agroecosystems 101 (1): 107-121. Chapagain, T and A. Riseman. 2014. Barley-Pea Intercropping: Effects on Land Productivity, Carbon and Nitrogen Transformations. Field Crops Research 166: 18-25. Chapagain, T and A. Riseman. 2014. Intercropping Wheat and Beans: Effects on Agronomic Performance and Land Productivity. Crop Science 54 (5): 2285-2293. Chapagain, T., L. Super and A. Riseman. 2014. Root Architecture Variation in Wheat and Barley Cultivars. American Journal of Experimental Agriculture 4 (7): 849-856. Chapagain, T and A. Riseman, 2012. Evaluation of Heirloom and Commercial Cultivars of Small Grains under Low Input Organic Systems. American Journal of Plant Sciences 3 (5): 655-669. Chapagain, T. and G. B. Gurung. 2010. Effects of Integrated Plant Nutrition Management (IPNM) practices on the sustainability of Maize-based hill farming systems in Nepal. Journal of Agricultural Science 2 (3): 26-32. Chapagain, T. and E. Yamaji. 2010. The effects of irrigation methods, age of seedlings and spacing on crop performance, productivity and water-wise production of rice in Japan. Paddy and Water Environment 8 (1): 81-90.